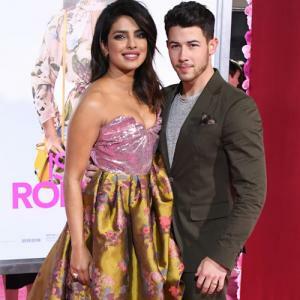 Priyanka Chopra and Nick Jonas got married on December 1 and 2 in a dreamy wedding at Umaid Bhawan Palace, Jodhpur, last year. Months later, their adorable pictures and social-media PDA, continue to regale and enthrall their fans. Yesterday, Priyanka opened up on her marriage with Nick on the chat show, The View. When asked whether she cooks for him, she answered, "He is from a good Southern home where his mother made food, and I am not like that. I am a terrible wife in that sense." She added that she can make eggs and toast for him. She revealed that when she told Nick about this, he said, "It's okay babe, even I can't cook." Recently, the Jonas brothers made a comeback with their single Sucker, which topped the charts. The highlight of the video was when the brothers roped in their better halves for the shoot, Sophie Turner, Danielle Jonas and of course, Priyanka.